Tree Service FAQs: What Can I Do For a Leaning Tree? Trees are organic, after all, and some deviation from the straight and narrow is to be expected. However, if a tree in your yard leans more than a little, it may be time to call Mr. Tree and Lawn Service for assistance. 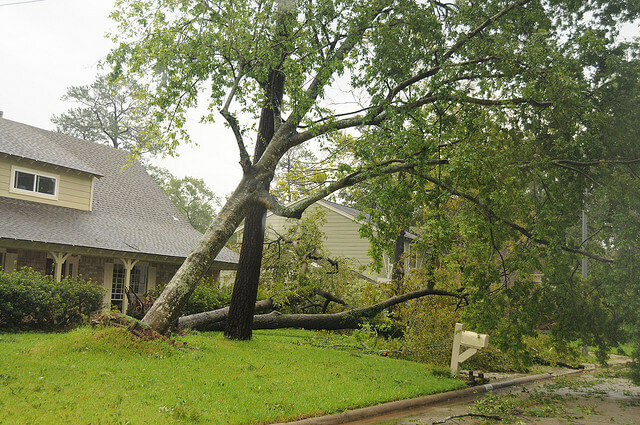 Leaning trees can be caused by poor weight distribution from damage, improper pruning, or a problematic growth pattern. Another common cause is damage to the roots that anchor the tree in the ground. If you notice that the ground looks cracked or swollen on the side of the tree opposite the direction it’s leaning in, that’s a bad sign that your tree could fall over soon. Exposed roots around the base of the tree are another sign that trouble’s on the way. So what can you do about a leaning tree? 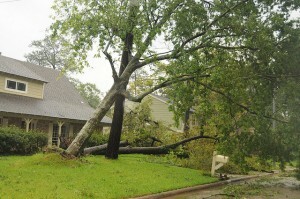 First, call us for knowledgeable Gainesville tree services. As tree experts with over a decade of tree service under our company’s belt, we can better identify the cause of your problem and how to address it in the best way for your tree, property, and safety. We may be able to prune the branches to distribute the tree’s weight more evenly and increase stability, allowing it to re-establish its roots and gain traction. In some cases, the tree may need to be padded to protect the bark and then braced with cables and stakes to give it a chance to re-grow some roots and get a more stable footing. If you don’t currently have a leaning tree, good! Keep it that way by calling us for tree inspections, regular pruning, and as-needed tree services to address any issues that may arise. To schedule a free estimate, call us at (352) 682-4444 or contact us online.